In celebration of National Hot Tea month – which is especially appropriate for January – I thought I’d paint a few images of my teacup collection. 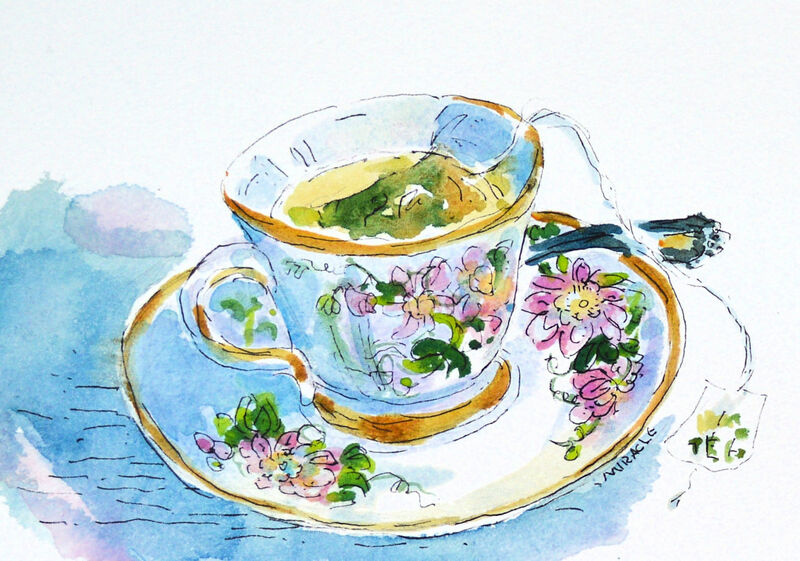 This is a small watercolor / pen and ink painting of a teacup which is especially dear to me. It was given to me by a friend who was moving and had to pare down. I was honored to being gifted this beautiful teacup which had belonged to her grandmother. It is a Royal Doulton in the Passion Flower pattern. Very light and pretty. I’ll put this up on one of my Etsy shops soon.